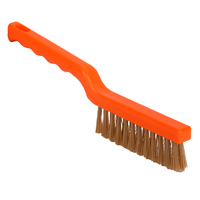 With an effective PEEK bristle area of 125 x 45mm, this high heat-resistant brush is capable of withstanding bristle contact temperatures of up to 250°C. A long handle enables operative to be clear of direct heat whilst working. 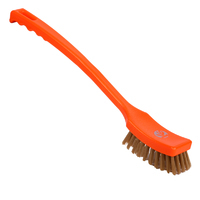 An effective PEEK bristle area of 135 x 20mm capable of robust cleaning of contact surfaces up to 250°C!